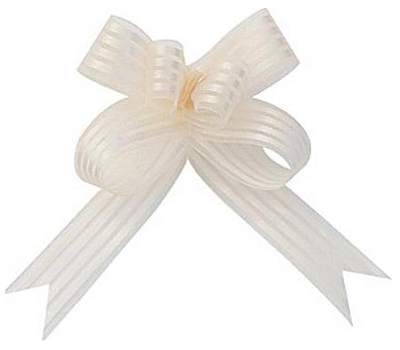 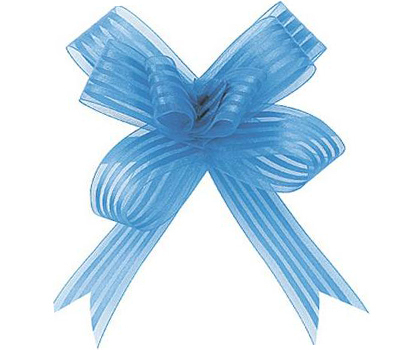 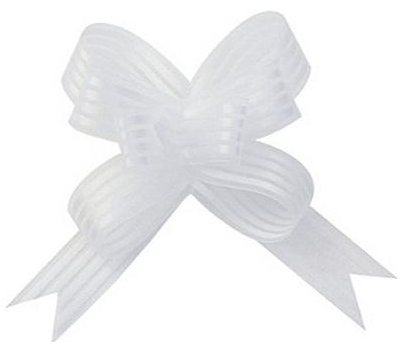 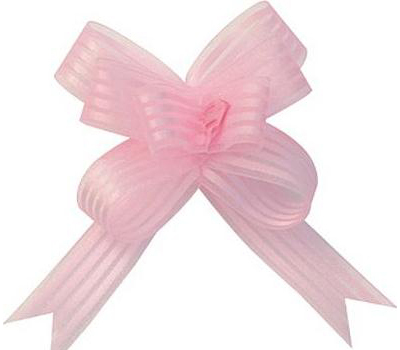 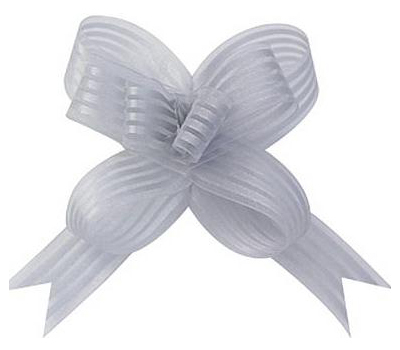 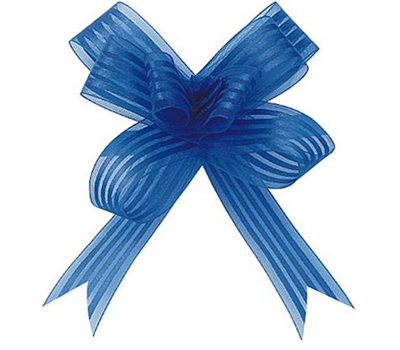 These organza butterfly pull bows have a satin stripe design coming in 10 colors, they are elegant and luxurious to add beauty to any gift and package. 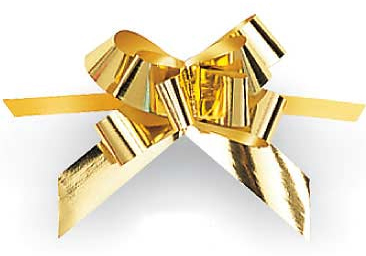 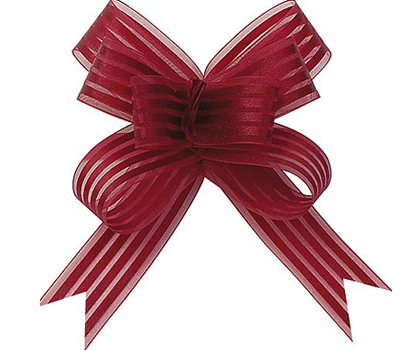 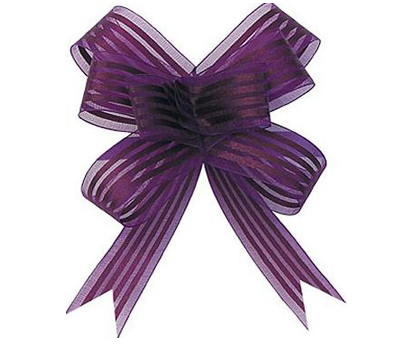 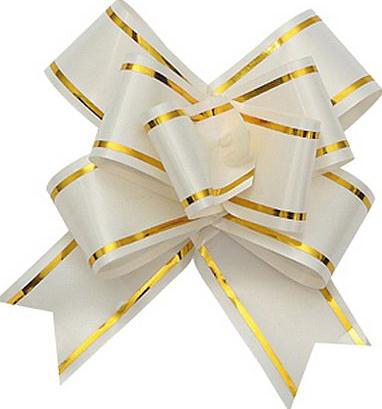 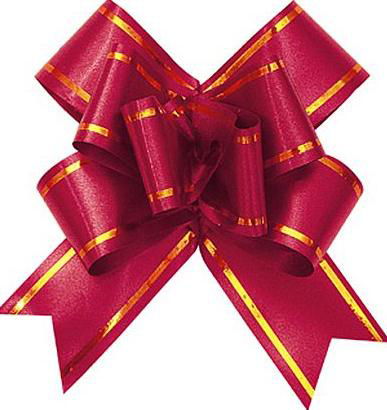 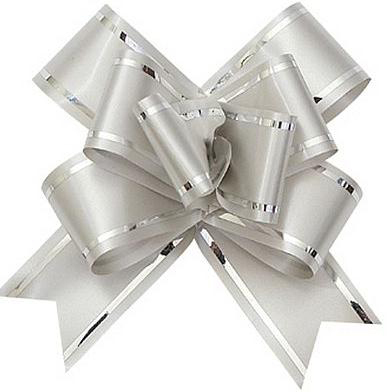 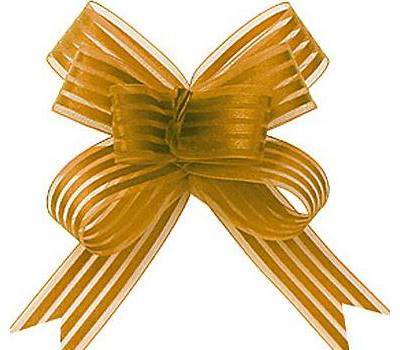 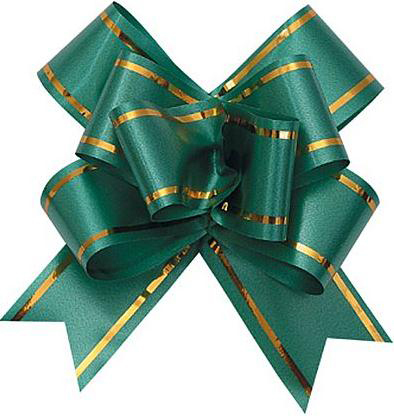 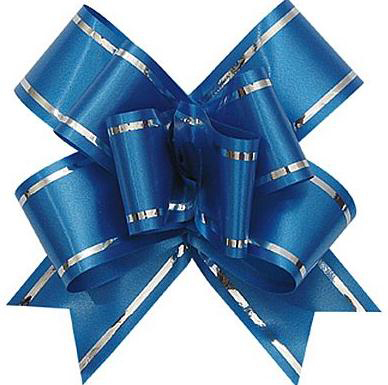 These brilliant bows are your ideal touch of beauty to top off any gift. 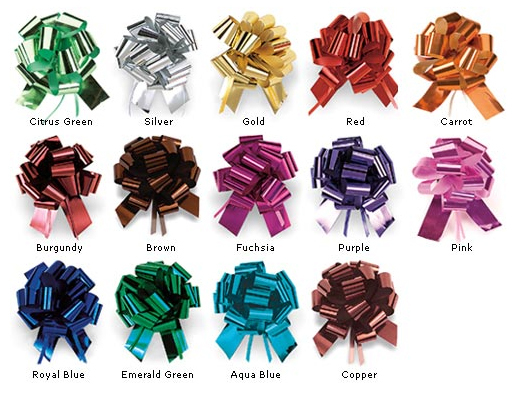 Edged in silver or gold and available in 8 great colors. 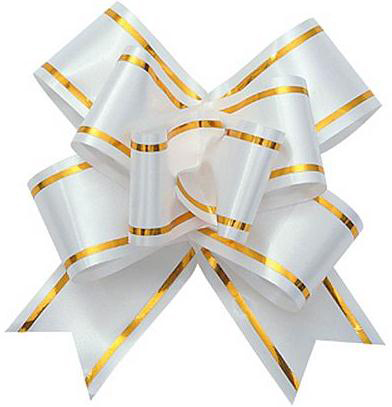 These pull bows come in 2" and 3" diameter sizes, which each make 100 bows per roll. 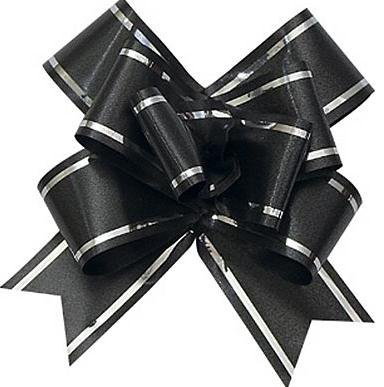 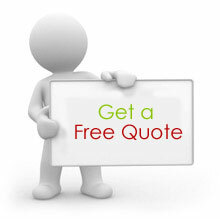 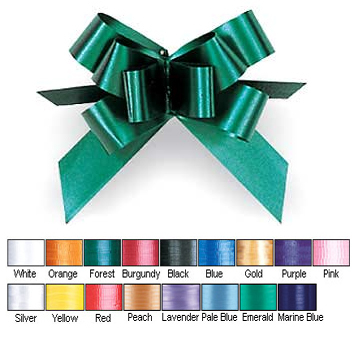 They come in 2" and 3" diameter sizes, which each make 100 bows per roll. As gift packaging prodcts supplier,4GiftPack offer wide range of bows including pull bows,star bows,butterfly pull bows and more coming in many size,colors to fit any occasion at cheap wholesale price.